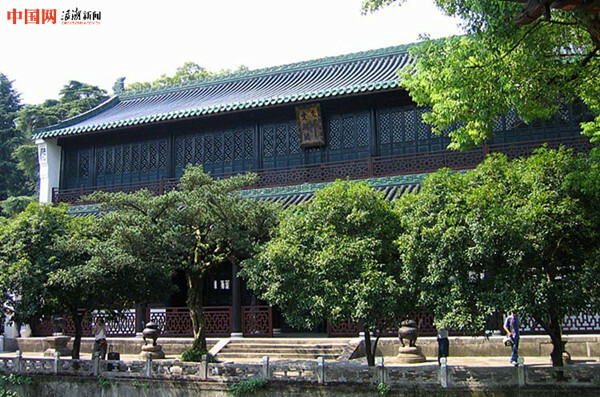 The Wenlan Pavilion was built to house the Siku Quanshu (Complete Library of the Four Treasuries) during the Qing Dynasty (1644-1911). 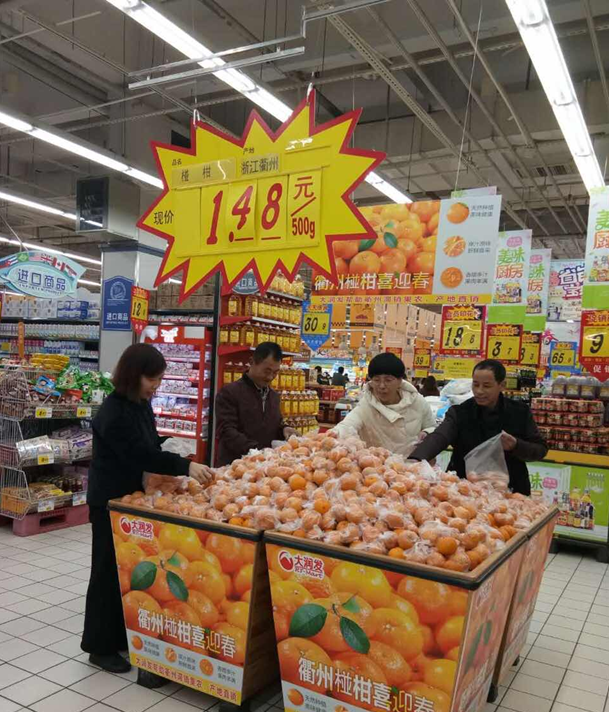 The comprehensive collection of books details over 3,000 years of Chinese politics, economics, philosophy, classics, medicine, science and technology, history and geography, art and literature, mathematics and astronomy. 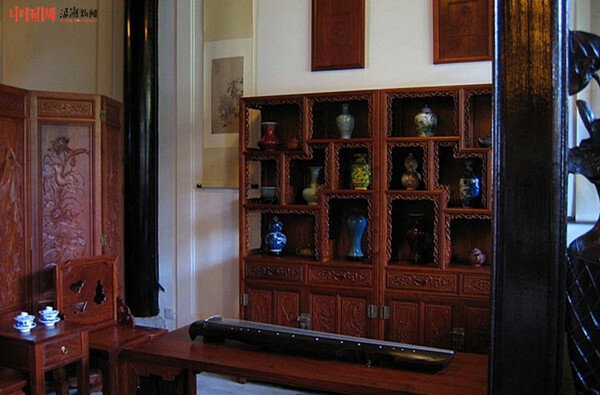 The pavilion is south of Gushan Hill and inside the present Zhejiang Provincial Museum. 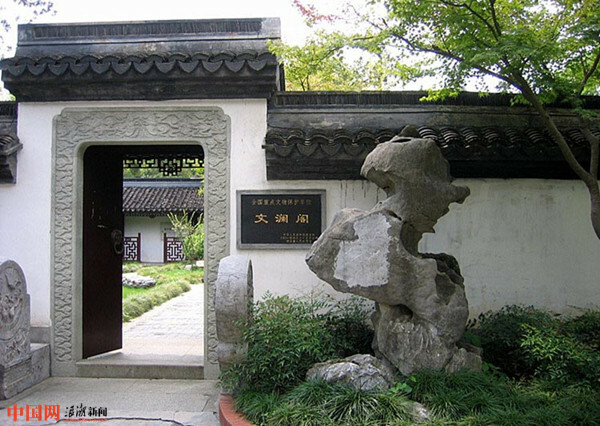 Among the seven library pavilions built around China for Siku Quanshu, Wenlan Pavilion is the only one of the three library pavilions left in the Jiangnan area (south of the Yangtze River). 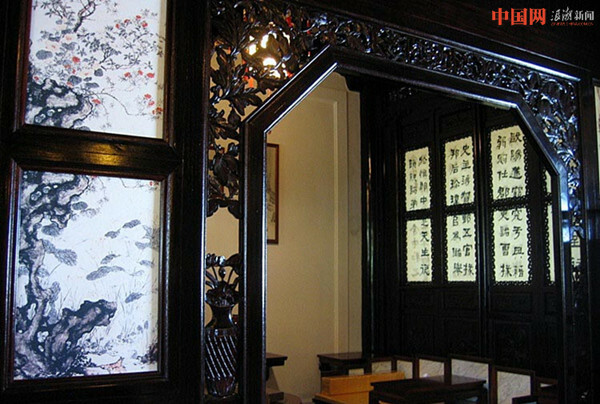 Wenlan pavlion stands in a Jiangnan-style courtyard and is a wooden layered-roof pavilion with double eaves. In front of the pavilion is a pond specially dug in case of fire with a rock bed called Immortal’s Peak. East of the pond, there is a waterside pavilion housing a stone tablet inscribed with Qing Emperor Qianlong’s poem and his edict establishing Siku Quanshu.